Cannabidiol, administered at a dose of either 10 mg or 20 mg per kilogram per day, resulted in a significantly greater reduction in the frequency of drop seizures in Lennox–Gastaut syndrome than placebo, according to a study published in NEJM. 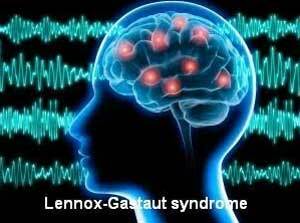 The Lennox–Gastaut syndrome is a severe developmental epileptic encephalopathy that has multiple causes and an incidence of approximately two cases per 100,000 population. Orrin Devinsky et.al conducted a study to investigate the efficacy and safety of cannabidiol added to a regimen of conventional antiepileptic medication to treat drop seizures in patients with the Lennox–Gastaut syndrome, a severe developmental epileptic encephalopathy. The phase 3 trial conducted was a multicentered, randomized, double-blind, placebo-controlled trial which took place at 30 participating centers with follow up for 24 weeks. The trial comprised a 4-week baseline period, a 14-week treatment period (2 weeks of dose escalation, followed by 12 weeks of stable dosing [maintenance phase]), a tapering period of up to 10 days, and a 4-week safety follow-up period after discontinuation of cannabidiol or placebo. The study found that cannabidiol significantly showed at least 50% reduction in the frequency of drop seizures, the reduction in the frequency of all seizures, and improvement in overall condition. Eight patients (5%) who received the drug were free from drop seizures during the entire maintenance phase, as compared with one patient in the placebo group. These results are similar to those from trials of cannabidiol at a dose of 20 mg per kilogram per day in patients with the Lennox–Gastaut syndrome14 and those with the Dravet syndrome. The study concluded that among children and adults with the Lennox–Gastaut syndrome, the addition of cannabidiol at a dose of 10 mg or 20 mg/ per kg/per day to a conventional antiepileptic regimen resulted in greater reductions in the frequency of drop seizures than placebo. Adverse events with cannabidiol included elevated liver aminotransferase concentrations.